Arrival at Delhi/Chandigarh railway station, our vehicle pick up you & drive to you to Shimla (9 Hrs). Evening free for leisure & you have a choice of shopping at Mall Road Also. Come back to the Hotel & take your Dinner. Overnight stay at Hotel in Shimla . 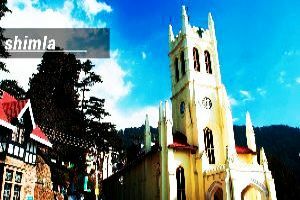 Shimla Local Sightseeing. After breakfast proceed for wonderful day excursion to Kufri. Evening comes back to the Resort & does some shopping at very famous Mall road of Shimla. Enjoy your dinner at Hotel. Overnight stay at hotel in Shimla. After taking breakfast transfer to Manali. (08 Hrs). When ever reach at Manali check into your Hotel & get fresh. Take your dinner at Hotel. Overnight stay at hotel in Manali. 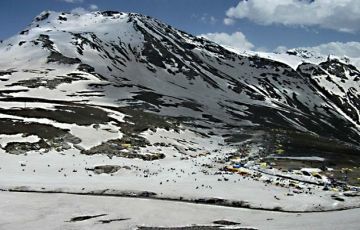 Manali - Rohtang Pass – Manali (AT YOUR OWN COST). 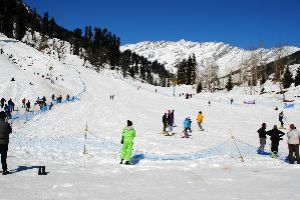 After breakfast proceed on a day excursion to the Rohtang Pass also called Snow Point of Himachal – enjoy the beauty of year round snow caped mountains. The rest of the day is free to explore this picturesque town on your own. Evening free for leisure & enjoy your dinner at Hotel. Overnight stay at hotel in Manali. After breakfast day free for leisure activities at your own. After breakfast take a transfer to Chandigarh (08 Hrs). When ever reach check into your hotel & get fresh. Dinner at Night, Overnight stay at hotel in Chandigarh. After breakfast do some local sightseeing in Chandigarh, visit Rock Garden & Pinjore Garden. By noon proceed for Chandigarh/ Delhi railway station./ airport. Fantastic journey & good experience with yatra crafters tour package but little bit disappointed with arrangements. Great experience in our budget..